World Wing Chun Cup 2015. Results. World Wing Chun Cup 2015 was held within IX Martial Arts Olympics "East-West" April 24-26, 2015 at St Petersburg, Russia. Organizers and co-organizers of the competition: Russian Wing Chun Federation, World Wing Chun Union, International Wing Chun Organization (IWCO), European Wing Chun Federation, International Martial Arts Confederation. World Wing Chun Competitions "Ip Man Cup"
IWCO (International Wing Chun Organization) had achieved remarkable result in the past few days. We had won 13 medal: 6 gold， 3 silver and 4 bronze. It is held a record of applications of clubs for competitions “World Wing Chun Cup 2015”. “World Wing Chun Cup 2015” will take place in the frames of the VIII Martial Arts Olympic “East – West”. The competitions will be held by International Wing Chun Organization, World Wing Chun Union, European Wing Chun Federation, Russian Wing Chun Federation, with support of the and the International Martial Arts Confederation ( IMAC ). The date of holding of the competitions: 24.04.2015 – 26.04.2015. The beginning of the competitions: 24.04.15, at 9 a.m.
European Wing Chun Cup 2014 was held within VIII Martial Arts Olympics "East-West" from 9 - 11 May 2014 at St Petersburg, Russia. Organizers and co-organizers of the competition: Russian Wing Chun Federation, International Wing Chun Organization (IWCO), European Wing Chun Federation, World Wing Chun Union, International Martial Arts Confederation. The organizers of the "European Wing Chun Cup 2013": European Wing Chun Federation, World Wing Chun Union, International Wing Chun Organization, Russian Wing Chun Federation and the International Confederation of Martial Arts. The International Wing Chun Organization to congratulate all winners and participants. IWCO students from Hong Kong, Russia, Italy and USA participated in competitions and win 13 medals: 1 gold, 3 silver and 9 bronze. 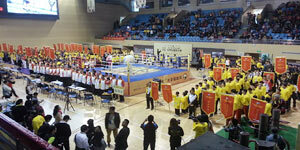 IWCO students took part in the men's, women's and children's disciplines also. Congratulations to all the participants and IWCO students, who came to Hong Kong to support our team. Special thanks to the group of children who received two medals. The topics of seminar: Chi Sao and Siu Nim Tau. “International Wing Chun Organization - Israel” is recruiting students into the new groups in Tel-Aviv, Haifa, Nesher, Kiryat Bialik and Migdal Haemek for studying Chinese applied contact duel Wing Chun, direction of Ip Man. 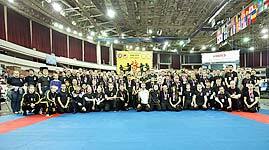 "Ukraine Wing Chun Cup 2012” were held in Zaporozhye ( Ukraine ) June 18. IWCO-Ukraine schools from cities: Zaporozhye, Donetsk, Dnipropetrovsk, Poltava, Zhytomyr, White Church, Simferopol took part in competitions.
" Russian Wing Chun Cup 2012” were held in St. Petersburg 28.04-01.05.2012. Dozens of wing chun schools from different cities of Russia took part in the competitions. International Wing Chun competition "Ip Man Cup 2012"
Grand Master Chow Tze Chuen congratulated prize-winners yesterday. Special thanks for the IWCO students who came to China to support the competitors.